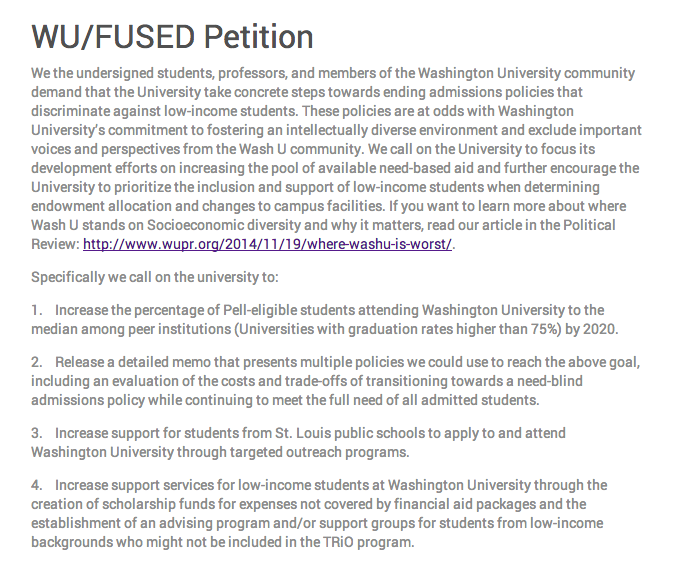 Students launch petition to increase support for low-income students at Wash U. It is no secret that Washington University in St. Louis consistently ranks low on lists of socioeconomic diversity among elite colleges. Among its student body, only about 7% is considered low-income, a fact brought into greater prominence after the NY Times’ College Access Index was published. The College Access Index ranked colleges based on the share of freshmen in recent years who came from low-income families (measured by the share receiving a Pell grant) and on the net price of attendance for low- and middle-income families. 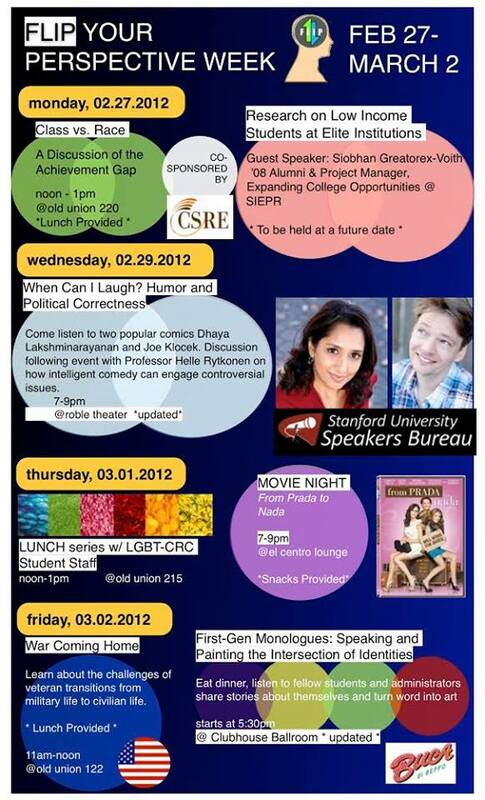 Stanford Class Awareness Week in 2012. Columbia University’s Quest Scholars Network put a spin on November, dubbing it “Class Awareness Month.” Throughout the month of November and the end of October, Quest Scholars and various other campus organizations presented several events related to socioeconomic background on campus. Chicago Maroon article published about new first-generation mentoring program. Last week, the Socioeconomic Diversity Alliance (SDA), the student group for low-income and first-generation students at UChicago, hosted a talk by Kevin Jennings. Jennings founded the Harvard First Generation Alumni group and mentoring program. Bringing a wealth of knowledge as a first-generation student himself, Jennings led a dynamic discussion about what elite colleges can do for first-gen students. A few college administrators attended the talk as well, which shows interest at the institutional level. The Chicago Maroon, the student newspaper, wrote an article about the event for last week’s Friday edition. For this week’s Tuesday edition of the Chicago Maroon, two articles were written about separate SDA efforts. One mentioned the launching of a first-generation mentoring program out of the Office of the Dean of Students. The mentoring program will match 1st year, first-generation students with local alumni who were first-generation students themselves. The article mentions the work of SDA focus groups being the inspiration for the development of the mentoring program. My blog just received accolades in the form of a blogpost by Jane Van Galen, first generation college student and professor of education at the University of Washington. Thank you so much, Jane! For readers interested in First Generation students and the challenges they face on campus (and beyond), I highly recommend Lynda Lopez’s First Generation Students blog and Twitter feed. Lynda was active in starting national and campus “Class Confessions” conversations around socioeconomic issues while an undergraduate at the University of Chicago and in advocating for First Generation and Low Income students at U of C.
I posted her Class Action essay on 10 Most Classist Things About College on my campus’s Equity and Inclusion Facebook page and it was shared widely across departments. I don’t know anyone more knowledgable about how First Generation students are faring at elite colleges around the country. I’ve learned a ton from her. You’ll learn a lot from her, too. I really appreciate Jane’s words, as she has taught me much herself. Check out Jane’s blog at educationandclass.com, one of the best blogs examining class and education. 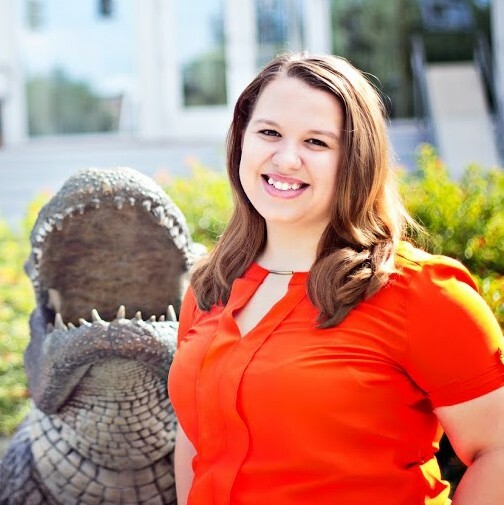 Marissa Maulbeck serves as the president of the First Generation Student Organization at the University of Florida. Below is a Q and A with Marissa about her work and aspirations for supporting first-generation students. What motivated you to get involved in initiatives to support first-generation students at your school? Was it based on personal experience? I struggled a lot my first year at UF. I lost my aunt due to cancer and my academics suffered. The support services for first generation students at my school were outstanding. They helped me get back on my feet. I wanted to be involved in providing that same support to others. What are the initiatives and projects of the First Generation Student Organization? The First Generation Student Organization exists to foster a diverse group of first generation students on UF’s campus. We seek to provide a community of care, development opportunities, and outreach opportunities to other first generation students in the community. We have a First Generation Empowerment week during the fall to bring visibility on campus and awareness of first generation issues. We also do a big welcome back in the spring semester as a kickoff for making it halfway through the year. Inside Higher Ed article about the pathways of first-gen students after graduation and what universities can do to better help them transition into post-graduate life. Williams College’s Rosanna Reyes has been dedicated to first-gen students since her time at Rutgers. This article talks about her journey and work at Williams. Programs targeting the first-year transition intrigue me. As the crucial year for adjustment, what can all colleges do better? I believe any change at a university has to start with the students. Over the past few years, I have done a lot of research on first-gen/low-income support services at different universities, particularly UChicago’s peer institutions. 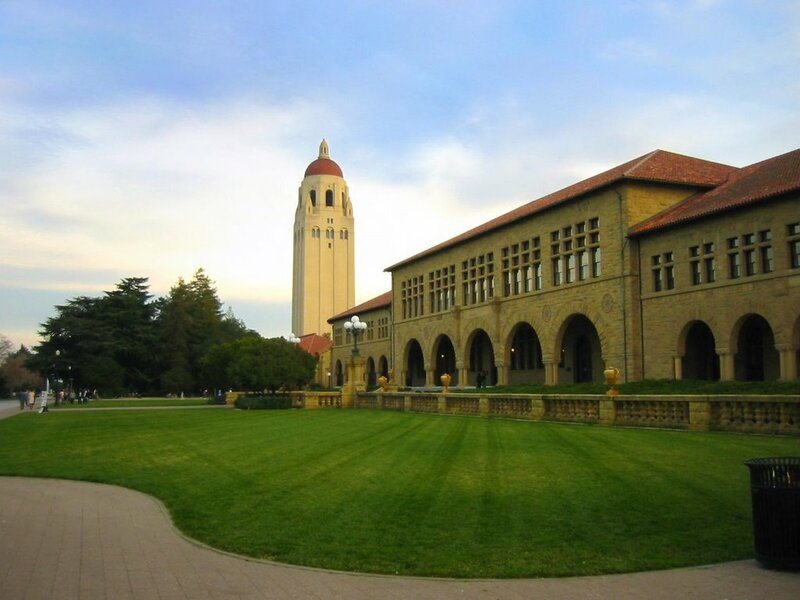 Stanford University has always stood out to me because of their first-gen initiatives. Their First-Generation Low-Income Partnership (FLIP) stands out as one of the most active first-gen groups in the country. Stanford’s Diversity and First-Gen Office is one of the only offices for first-gens among peer institutions. An institutional office isn’t just created naturally, so I started to do some research on how it came about. I learned that it all started with a student’s undergraduate thesis. Siobhan Greatorex-Voith graduated from Stanford in 2008. While a student at Stanford, she started to consider various questions regarding class dynamics at top colleges. Her sophomore year, she started to do research on first-gen students. Her findings uncovered the barriers that first-gen students face, particularly at Stanford. 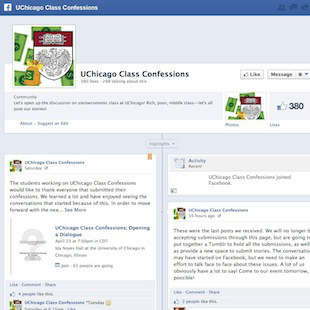 Class confessions refer to anonymous confessions related to students’ class backgrounds. Stanford’s First-Generation Low-Income Partnership started this project a few years ago. They had students make submissions through a google form and discussed them openly at an event. About two years ago, they also used a Tumblr to publicize some of the confessions, which caught my eye. A powerful piece about the way in which teeth aesthetics play a role in the way people view you, which can ultimately deter your personal success. Provocative, honest, and a must-read. Princeton elaborates on previous announcements of new programs for low-income students. Their partnership with Leadership Enterprise for a Diverse America (LEDA) will be expanded, in addition to broadening their bridge program for incoming freshmen. A $10 million gift to Yale will fund the education of low-income Chinese students admitted to the university in coming years. 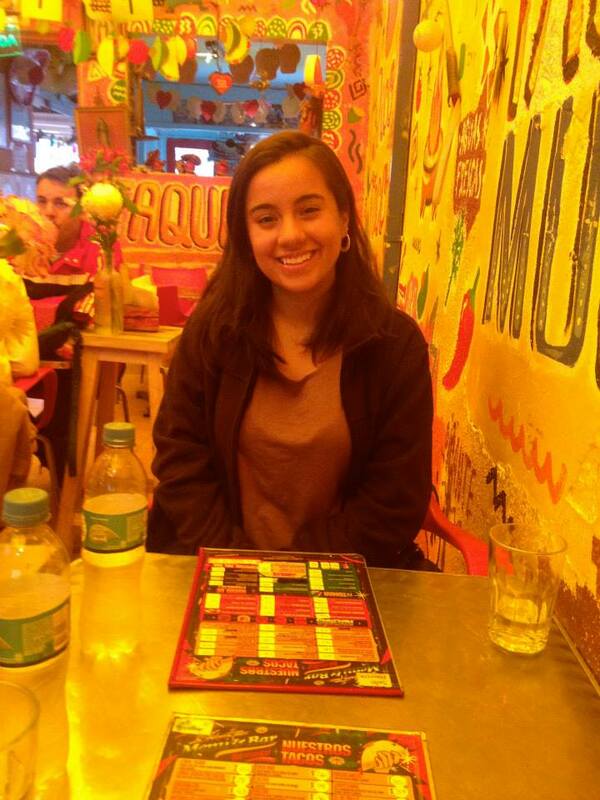 Katelyn Montalvo has spearheaded the First-Generation Student Council at Tufts University. Below is a Q and A with Katelyn about her work and hopes for the future. When did your interest in first-generation students start? Does your involvement stem from personal experience? My interest in first-generation college students started when my Dean was holding an event that was going to give a basic breakdown of what you needed to understand about attaining your degree (credits, majors etc. ), so I decided to go. When I went, I also met resourceful people who worked in Dowling (our main building for academics). One lady by the name of Wanda Montanez worked in Dowling and was going to put together a first-generation college student council. This was the first time I ever heard of that label. I decided to fill out the application that was required to join the council. I considered myself a first-generation college student because I was definitely alone trying to figure out the college process and how to succeed in college. My mother attained her B.A. at a community college back at home (New York City) but she was raising me at the same time and wasn’t as involved in her college. I was the first in my family to go away to college to a prestigious four-year university and had to figure this out all on my own. This is why I consider myself a first-generation college student.